8-12 working days from approved artwork (weekends and public holiday not included). Additional options added to product may extend this time, Allow an extra 1-2 working days for an option. Our Plastic Gift Cards are printed full colour on 0.76mm white PVC gloss card with rounded corners. Among the main holiday and special occasion purchases each year, they are popular and great for gift giving and every day use. 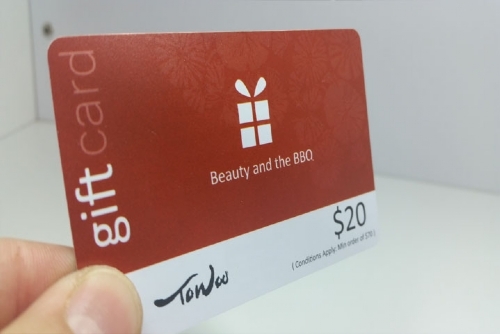 The most important options used in gift card printing are magnetic stripes and signature panels. Magnetic stripes (or Mag Stripes) are encoded with the unique number used to track values and information within the gift card processing system. The signature panel is used to provide proof that the gift or fundraising card belongs to the card holder. 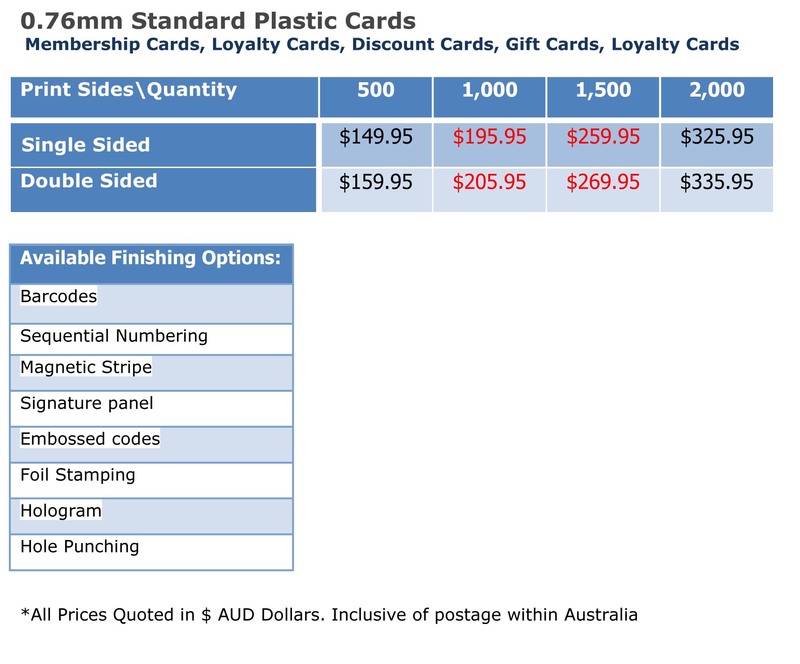 We ensure that our cards are compatible with most POS software or service providers. Whether you have a provider who you are currently working with or you need us to refer one to you, our cards can be custom ordered, designed and programmed to work with your current or new system. 4.What is the process to purchase in BoostPrint?